This Keurig K250 Review will show you exactly why this is such a great coffee maker for your home or office. It is one of the most versatile machines we’ve reviewed to date and is capable of brewing both individual cups and Carafes. 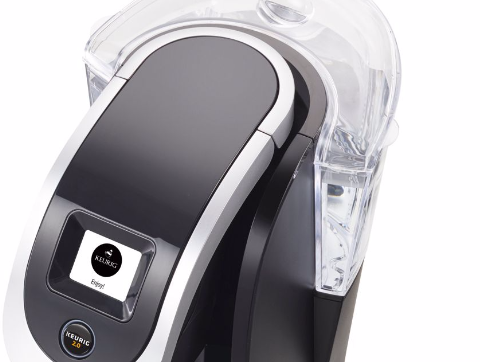 Keurig has considerably reduced the counter-top footprint of this coffee maker compared to other Keurig models such as the K55. However its relatively large reservoir still allows it to make plenty of your favorite drinks before needing to be refilled. This unit comes with a 1 year warranty from Keurig. There are also 2 and 3 year extended protection plans offered by Amazon. Now let’s see what this coffee maker is capable of doing. The K250 can brew a myriad of beverages including coffee, tea, hot chocolate, specialty drinks, and even iced drinks. K-Cup: 4, 6, 8, 10 oz. Vue Pod: 12, 14, 16 oz. K-Mug: 12, 14, 16 oz. K-Carafe: 22, 26, 30 oz. The integrated Keurig 2.0 technology makes this coffee maker much smarter than its predecessors. It can recognize the K-Cup in the machine and alter its settings accordingly. Although this machine is smaller than past Keurig models, it’s been able to retain an impressive 40 oz removable water reservoir. A 2″ touch screen LCD display located on the top of the unit allows you to control the K250’s settings. The K250 has an integrated strength control option that allows the user to choose exactly how strong their desired beverage is. Unlike many coffee makers that are available in only 1 color, the K250 is offered in a range of colors including Black, White, Turquoise, Red, Pearl, and Violet. A removable drip tray allows for easy cleaning and to accommodate larger glasses and carafes. The Energy-Saver mode ensures that the machine is not wasting energy when it is idle. This machine is compatible with the Keurig 2.0 My K-Cup reusable filter. 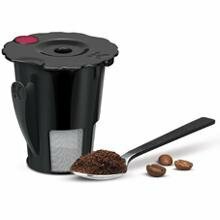 Insert your favorite coffee beans into the filter rather than making coffee from a pre-made K-Cup. 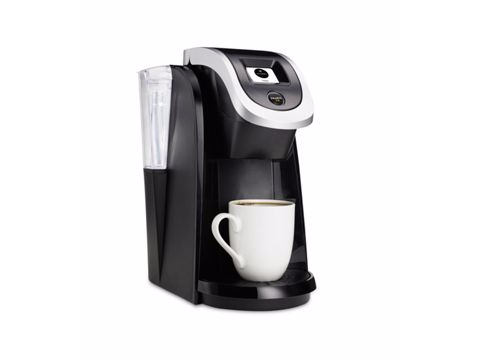 This Keurig coffee maker measures 9″ wide by 13.7″ high by 15″ deep and weighs 7.5 lbs. This coffee maker is a hit with reviewers. 89% of people rated this machine between 4 and 5 stars on Amazon. This is in-line with reviews on most Keurig models. People love how easy the unit is to operate. They insert their pod and use the touch screen to begin brewing. The entire process is very simple and produces a cup of coffee much quicker than other coffee makers they’ve owned in the past. Reviewers appreciate this unit’s compact footprint. Although slightly taller, it is considerably narrower than other Keurig models. It makes great use of vertical spacing and leaves more open counter-top room. Users are surprised that the K250 is able to maintain such a large water reservoir for its size. They’ve found that comparably sized coffee makers they’ve owned hold significantly less water and require constant refilling. The color availability of this unit is a noted benefit among purchasers. 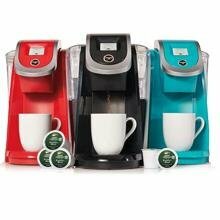 They like having the ability to buy the coffee maker in a color that compliments their kitchen decor. Many state their love for this unit’s versatility. 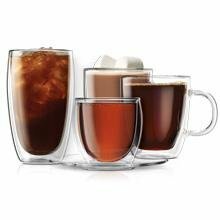 It can brew in so many different sizes including carafes for guests. It reduces the need to continually brew individual cups. The Keurig 2.0 technology makes brewing much more convenient. Users love that the machine automatically suggests settings based on the inserted K-Cup. People also love how easy this unit is to clean. The removable water reservoir and drip tray allow them to quickly and easily wash these items in their sink. Lastly, reviewers like having the ability to brew from their favorite coffee beans using the My K-Cup 2.0 filter. 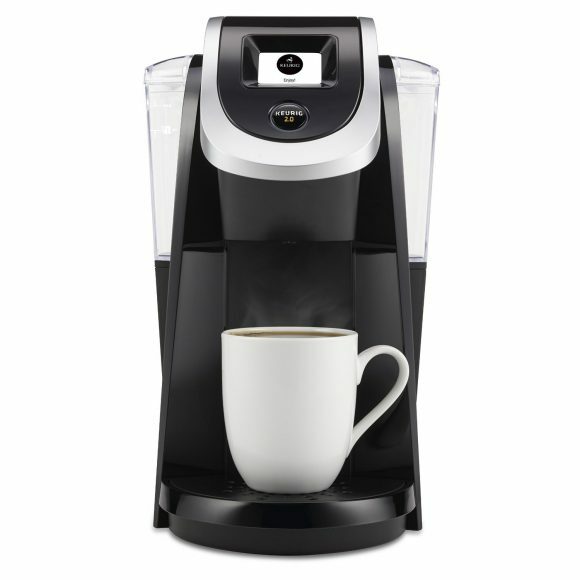 We give the Keurig K250 coffee maker two big thumbs up. 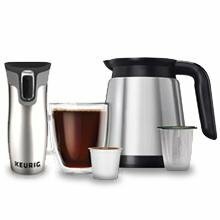 This versatile machine is capable of brewing all of your favorite beverages in more sizes than ever before. The ability to use such a compact machine to brew carafes is mind blowing to us. It is perfectly suitable for making a single cup of coffee or larger amounts for entertaining guests. We love that this machine is available in so many different colors. It gives the user much more flexibility in choosing a machine that’s right for their kitchen. Although we don’t see the Keurig 2.0 technology as being a big upgrade over past machines, reviewers tend to appreciate it. You really can’t go wrong with the K250. It is one of the best compact coffee makers we’ve reviewed thus far. 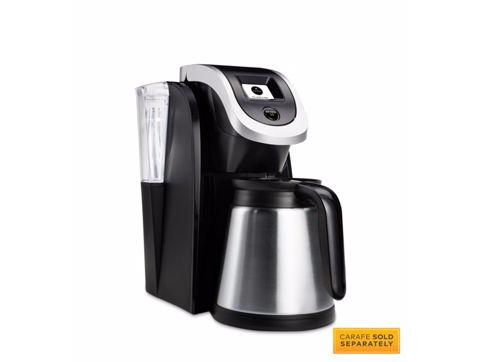 The Keurig K250 should be at the top of your list when making your next coffee machine purchase! We hope you liked this Keurig K250 Review. Please feel free to share or leave comments below! Sweet review on the K250! This told me pretty much all I wanted to know about it. I was reading some other reviews but yours had all of the information I was looking for in 1 place. This is a good resource for appliance buyers who want the inside scoop! Thanks for the compliment. We’re glad we were able to provide you with some useful information on this coffee maker. We are sure you will love it! I find “Appliance Savvy” an informative and well presented site being able to look up what ever products you use in the home quite easily. Their goal is to be informative and present the best products that you may use in the home. They source out quality products that are regularly used and giving buyers the peace of mind that all have warranty info. with them. There are some honest reviews included which are of interest. In all a very good site covering all items shown. Thank you for the kind words! We’re glad you enjoy our site! How nice to come across your introduction about this Keurig coffee maker. I am just searching around to find a replacement to the one at my office which is just spoiled. The touch screen control is just so cool which I have never had one before. And I just like the ability to adjust how strong I’d like to have my coffee. it’s much more fun than my previous ordinary one. The touch screen on this coffee maker is definitely a nice touch 😉 (pun intended). The coffee strength setting is also an awesome feature that let’s you customize your beverage to your link. Overall, this is a superb coffee maker! Good luck with your purchase!